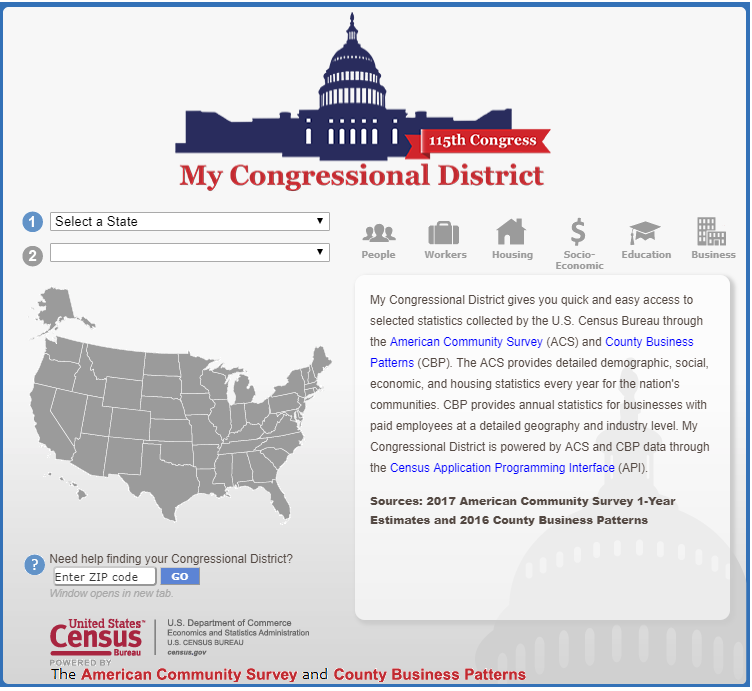 Thanks to this handy online tool from the U.S. Census Bureau, you can learn all about your congressional district – and every community your business serves. Type in your zip code and the “My Congressional District” tool will tell you which district you’re in, provide the name and contact information for your representative(s) in Washington, then a slew of economic, demographic, housing, and labor market data. Population by age range, gender, race, and ancestry. The number of children in school, by preschool, elementary, middle school, and high school. How many residents have college degrees. The number of employees by industry type (e.g. manufacturing, transportation and warehousing, retail). Breakdown of incomes by household size. Housing data, including the number of owned homes, rented homes, and the number of homes by price range.